New colonial.. 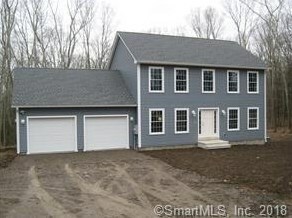 Granite Kitchen, Hardwood floors, Formal dining room, front to back living room with propane fireplace, First floor laundry, Master bedroom with full bathroom and walk in closet. 3 bedrooms and 2 1/2 baths total. Cable jacks in every bedroom, 2x6 construction, multi zone heat, Rough for central air, 200 amp service, exterior spotlights, 2 car attached garage, Close to Bashan Lake! Driving Directions: Alger Rd to Smith Rd or Mt. Parnassus Rd to Smith Rd. 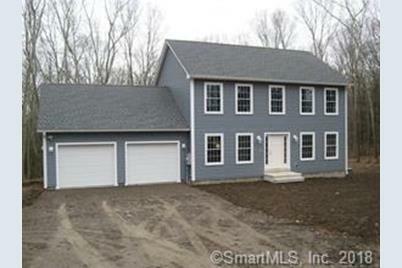 Sold by Executive Real Estate Inc.
00 Smith Road, East Haddam, CT 06423 (MLS# 170040687) is a Single Family property with 3 bedrooms, 2 full bathrooms and 1 partial bathroom. 00 Smith Road is currently listed for $291,900 and was received on January 02, 2018. Want to learn more about 00 Smith Road? 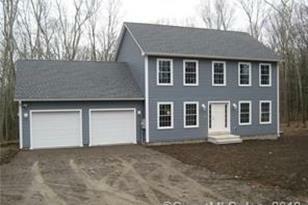 Do you have questions about finding other Single Family real estate for sale in East Haddam? You can browse all East Haddam real estate or contact a Coldwell Banker agent to request more information.